Products Kitemarked and Certified by DNV to MED “Ships Wheel” – meets the recommendations of the Royal Yachting Association and the requirements of the environmental Authority / British Waterways Board Joint Boat Safety Scheme. 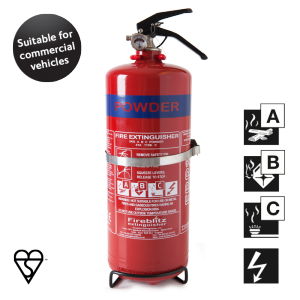 Ideal for use in vehicles, caravans, boats, agricultural machinery, farms, garages, in the home, offices, and for a wide range of industrial and commercial applications. 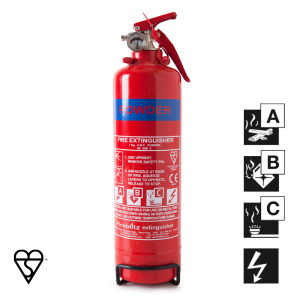 Refilling/Servicing: Should be carried out annually to BS 5306 Part 3, 2009. 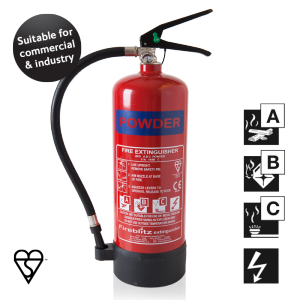 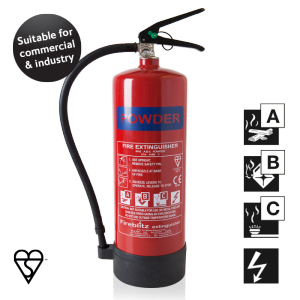 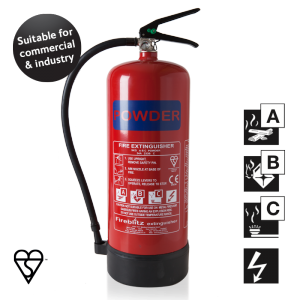 After complete or partial use the extinguisher should be refilled to BS 6643 Part 1, 1985. Both refilling and servicing to be carried out by a competent person.